GameClub has attracted a lot of attention amongst our community for their plan to resurrect a number of iconic iOS classics that, for whatever reason, are no longer playable on modern devices. Since the developer’s initial announcements that Hook Champ and Sword of Fargoal willl be making a belated return to the App Store, the members of our Discord server have been eagerly suggesting which long-forgotten classics they’d like to see revived – and the sheer variety of games mentioned has been stunning. However, as well as bringing back fan favourites, GameClub is also committed to shining a light on games that may have been overlooked by even the most ardent of mobile gamers. As a result, GameClub have announced that their next title is Zombie Match Defense, an incredibly interesting puzzle title that merged match-3 and tower defense elements, and will be available in early access on Monday. As a fully premium release in 2015, Zombie Match Defense stood absolutely no chance against the masses of its free competition, and we even published a feature at the time exploring the reasons why it didn’t light the App Store on fire. It it had released five years earlier, when match-3 games and tower defense titles were really in vogue and before the influx of freemium releases, Zombie Match Defense may have had more success. However, it ultimately went under the radar, and since then virtually every respectable premium puzzle title has faded into obscurity (insert obligatory Dungeon Raid mention here). 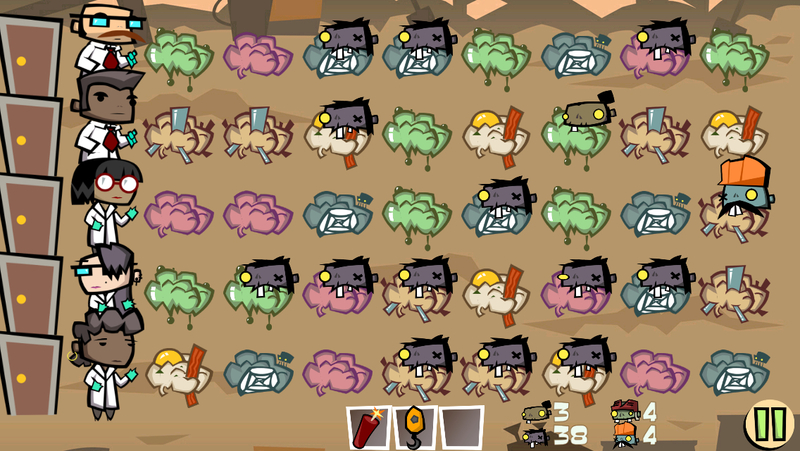 It may not be as critically acclaimed as Hook Champ, but Zombie Match Defense shares the same ethos of pure, no-nonsense gameplay that simply doesn’t exist for an equivalent puzzle game on the App Store of 2019. I personally missed Zombie Match Defense at the time of its release as it came and went within about a week, during the time just before I joined TouchArcade and was trying far too hard at university to fully keep up with iOS gaming. It’s a golden example of ‘blink and you’ll miss it’ which, regardless of the reasons behind a game’s success or failure, has been a defining characteristic of the App Store since its inception. As a result, I’m really excited to see which forgotten classics GameClub is working on that even I managed to miss, and it underlines the importance behind this sort of archiving process that ensure these games don’t permanently fade entirely into obscurity forever. Who knows, your next favourite iOS classic may be one you didn’t even know existed – make sure to register for GameClub’s early access program so you don’t miss out.